A western scrub jay in a Joshua tree, Joshua Tree National Park. As a mentor and supervisor, I aim to be more of Leslie Knope or Rupert Giles than Miranda Priestly. Policies outlined here are as much for me as they are for the rest of the lab. I owe a tip of the hat, too, to the Drew Lab website for prompting me to make this a priority. Just as natural selection operates most efficiently in a diverse population, scientific discovery thrives when scientists bring diverse perspectives and experiences to research. 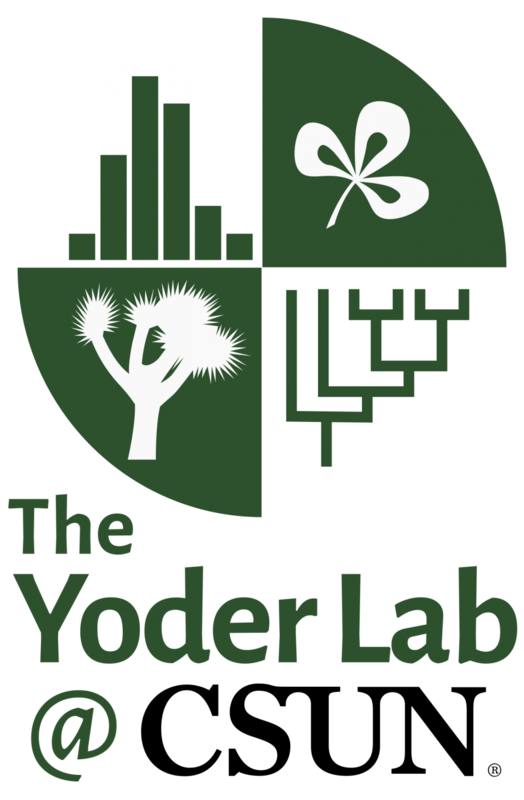 The Yoder Lab strives to cultivate a safe and open environment for curious, creative thinkers who treat each other with respect. Potential lab members are welcome whatever their race, religion, gender identification, sexual orientation, age, disability status, or economic background.